When are Surgical Orthodontics Needed? Orthodontics involves more than just straightening your teeth for better aesthetics. A primary goal of orthodontics is to properly align your bite so that your jaw functions correctly and your teeth don’t suffer undue stress and damage over time. While braces or other orthodontic appliances can correct most types of malocclusion, some patients need a more aggressive form of treatment using surgical orthodontics. Surgical orthodontics, or orthognathic surgery, is designed to fix jaw irregularities in order to improve your ability to eat, speak, and even breathe! In addition, correcting jaw misalignment can improve your facial appearance as well. Unfortunately, orthognathic surgery involves a surgical procedure as well as time in braces – this ensures your teeth stay in proper position as the jaw is moved or corrected. Braces may be worn for a period of time before and after your surgery. Surgical orthodontic treatment is reserved for adults whose jaw development is complete (typically around age 16 for girls and 18 for boys). 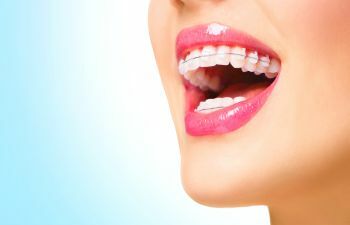 Your orthodontist will determine if your improper bites and facial aesthetic concerns warrant orthodontic surgery. Often, braces are worn as a pre-surgical means of tooth movement and this can be initiated as the jaw is completing growth. Orthognathic surgery is a major procedure that can require a two-week recovery period. However, if it is suggested, it is because braces alone would not be able to correct your malocclusion and poor jaw positioning. At Georgia Orthodontics & Children’s Dentistry, we can give patients optimal oral health by creating an ideal relationship between their teeth and jaws. In some cases, breathing disorders and sleep apnea can be prevented with surgical orthodontics. To learn more about our experience in advanced orthodontics for teens and adults, please call our office today.